The show took place at the 20,000 capacity T-Mobile Arena. 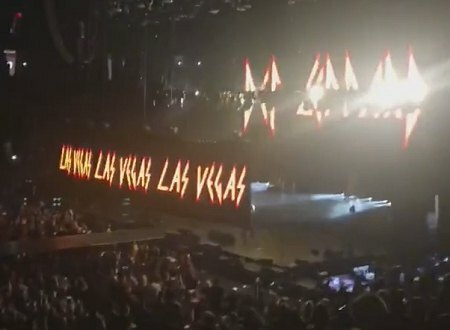 The band last played Las Vegas on 17th June 2017 on the Summer Tour 2017. 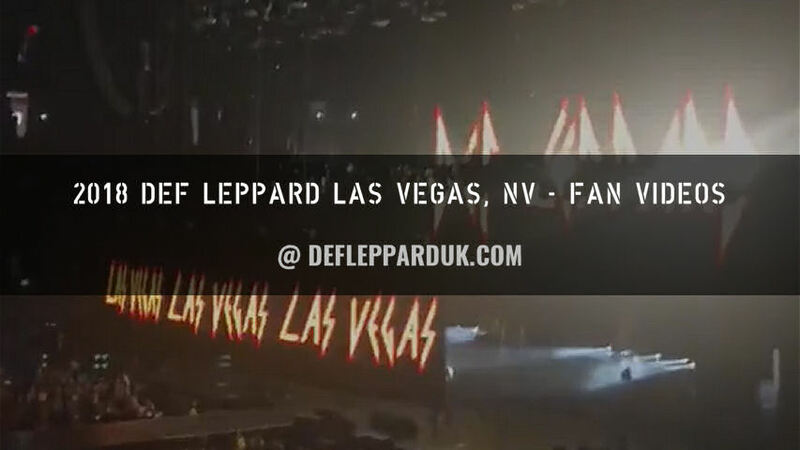 The 26th full show the band have played in Las Vegas and first time at this venue which was opened in April 2016. The first visit was in September 1983 at the Aladdin Theatre during the Pyromania tour. 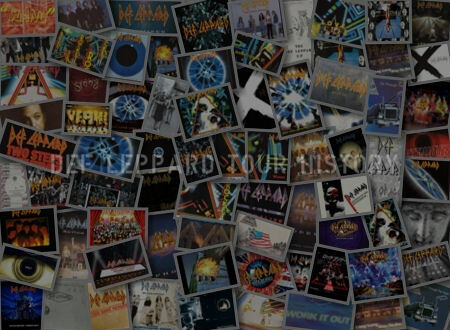 They returned in November 1987 for an In The Round show on the Hysteria tour at Thomas & Mack Center followed by a second in September 1992 on the Adrenalize tour. After a ten year gap they came back on the X/Ten tour for their first show at Mandalay Bay Events Center. The first full US show of that tour featuring first ever playing of 'Ring Of Fire' in America. The Joint At Hard Rock Hotel hosted a show on the same tour in October 2003 with 'When Love & Hate Collide' played for the first time in North America. A return to the city to end the US leg of the tour. 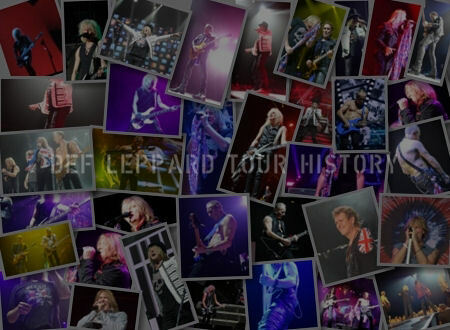 They returned to the same venue on the Rock Of Ages tour in November 2005 before playing two more shows at Mandalay Bay in August 2006 and September 2007. They also played three songs at the VH1 Rock Honors show at Mandalay Bay in May 2006. The next show took place in April 2008 on the Sparkle Lounge tour at The Pearl at The Palms. The first two MGM Grand Garden Arena shows took place in September 2009 and September 2011. 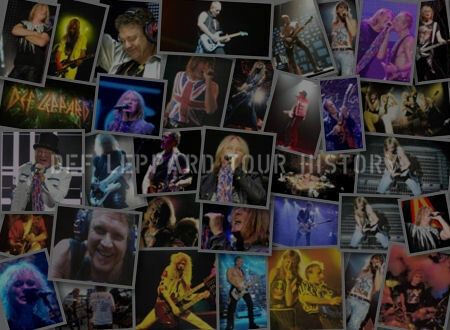 The only outdoor show in the city took place in June 2012 at Red Rock Casino Amphitheatre with Poison on the second Rock Of Ages tour. 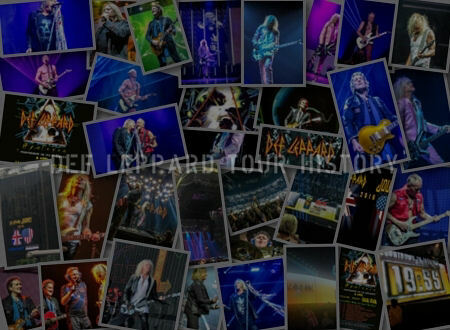 March/April 2013 saw the band play 11 shows at The Joint At Hard Rock Hotel for the VIVA! Hysteria residency which was filmed and released on CD/DVD later in the same year. They would return to the same venue in October 2014 for a private show with Steve Brown filling in for Vivian on guitar while he was in hospital. Queen guitarist Brian May visited the band after his show at Park Theater. Part of a Las Vegas residency called The Crown Jewels. Vivian's Last In Line band mate Andrew Freeman also attended the show. Both of them were pictured with Joe - see below. Steve Brown of Trixter was also at the show an shared a photo of the pre show video countdown. 'When Love & Hate Collide' had already been played Las Vegas more times than any other American city. First in October 2003 and again multiple times in 2013 at VIVA! Hysteria. "Las Vegas, Nevada!. Thanks for having us. Thanks for coming. Thanks for being here. We'll see you next time. Goodnight!." The next show takes place on 18th September in Albuquerque, NM. A show rescheduled from 5th September.